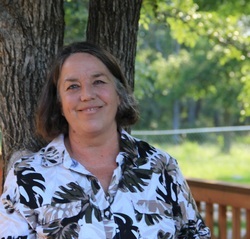 Mrs. Zea has more than 20 years of experience as a professional certified Montessori teacher. Since acquiring her training at the St. Nicholas Montessori College in Dublin, Ireland, she had taught and served as Director in some of the best schools in Dublin, France and Austin. Mrs. Zea has continued her Montessori education through workshops, including Association Montessori Internationale (AMI) and North American Montessori Teachers' Association (NAMTA) conferences and in-class supervision. Mrs. Zea is also the lead guide in the primary class (3 - 6 year olds). She is dedicated to ensuring the traditional Montessori method continues in her school in Lockhart. "While working in Italy as an au pair I was fortunate enough to be employed by a family whose children attended a Montessori school. I became interested in the philosophy of Maria Montessori and began reading some of her books. When the school learned of my interest, they invited me to observe. After spending a morning with the children, I knew I was destined for a career in Montessori teaching. The children were all working with different materials, individually and in small groups. In one group, an older child was patiently giving a very young child a lesson on polishing a mirror. I had never experienced children in this way. It was such a beautiful, peaceful, and productive environment. As I sat there absorbing all the activity and seeing the philosophy in action, I remember wishing all children could experience learning in this positive, nurturing way. Montessori allows children to learn through their senses. It also allows children to learn in the style most suited to them. Parents are the child's first teacher and I feel honored when they entrust me with their child's next stage of development. Every child, by instinct, wants to learn and grow to the limit of their abilities. A child's method of working is not just to get the task finished, but to enjoy it. A child is working to master the activity and to practice and perfect their abilities. There is a wonderful inner joy I experience every time I see a child master an activity and take one more step on the road to independence. Seeing a child learn is truly like catching a glimpse of the future." Our Lower Elementary guide is Katherine Mathis. Originally from Lubbock, she has lived and taught in Texas, Arizona, California, Hawaii, Montana and is happy to be back in Texas. Katherine has been with LMS since 2011. Katherine has been involved in Montessori education for 36 years. She began as a parent, later became a primary assistant, completed her A.M.I. primary training at Montessori Center Training School in Phoenix, AZ and the completed lower elementary training with The Center for Montessori Teacher's Education, New York. She is a certified reading specialist through Arizona State University. 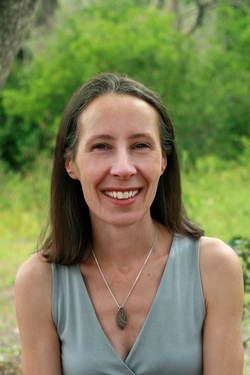 Katherine has worked as a volunteer parent, assistant primary guide, lower elementary guide and co-director at Montessori schools in the western U.S.A.
Katherine is happily married. She is the proud mother of 3 adult children and grandmother of 5 wonderful grandchildren, all have been touched by Montessori education. Amy Guerrero is our lower elementary assistant teacher and director of extended day. Ms. Guerrero is a lifelong resident of Lockhart. "I discovered Montessori in 2017 when I began working with the Lower elementary program. I quickly fell in love with the Montessori Method when I witnessed the children’s desire to learn. Our school gives staff multiple opportunities with Montessori trainings and so I decided to pursue a career at Lockhart Montessori. I look forward to watching our students grow and blossom. I cannot describe the wonderful feeling of knowing that this great education is an option in Lockhart. I feel proud to be a part of such a wonderful school." 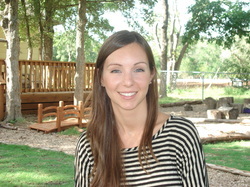 Brittany Herzog is the assistant teacher in the primary classroom. As a private art teacher and mother of two, she has always enjoyed working with children. She first learned about Montessori in 2003 as a volunteer: part of an Early Childhood Development course. "The thing I love most about being in the Montessori environment is helping children become lifelong learners and problem solvers. Independence is such an important aspect of growing into a successful adult."